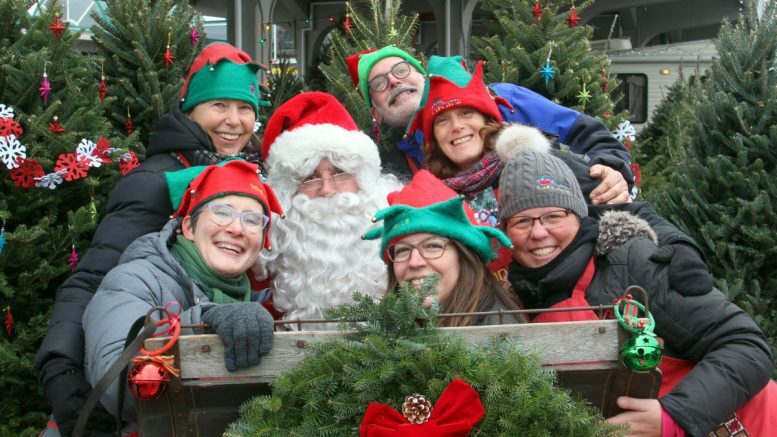 The weather didn’t cooperate this Fall, nor today, but Santa Claus’ visit at Marché Jean-Talon on Saturday, December 1st — incidentally, World AIDS Day– allowed us to break all previous records. Our team of volunteers, and everyone who bought a product at the kiosk or a picture with everyone’s favourite bearded man, raised $3,920 !!! That said, the race isn’t over yet. New organizations have requested gifts for their beneficiaries, and, of course, there will be shipping costs to cover. So, if you haven’t done so yet, we invite you to make a small donation towards our goal of over 4,000 gifts. You can do so online through our partner CanadaHelps. Thanks in advance! (…) yesterday we received the wonderful gifts you collected and made up our boxes for our PHA clients. The gifts will be delivered to them on December 22, along with a Christmas food box for each. Thank you for your generous assistance to help make our clients’ Christmas this year a little more special.